The two new members of the Brian Yaeger Army. 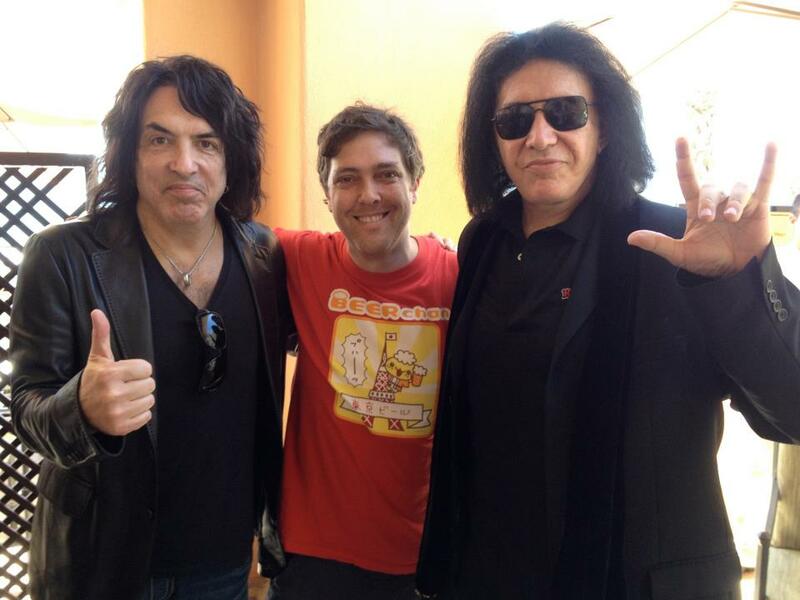 When I posted this photo on my Facebook, the main people asked was, “WHAT?” What was a guy who writes about beer for a living doing hanging with with two of the most legendary figures in rock’n’roll, Gene Simmons and Paul Stanley? It had nothing to do with one of my prior “careers,” writing about music. So here’s the answer. My inbox fills up with press releases, most of them only slightly tangentially connected to anything I’d ever write about. I know some of my beer writing colleagues and friends received the same release. But I responded. My favorite beer-related quote in AAB (vol. 34, iss. 4, 2013) by Simmons, a notorious teetotaler? This entry was posted in All About Beer, Music, Profiles and Q&As and tagged Kiss, Mexico by Brian. Bookmark the permalink.